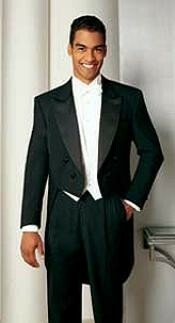 Tuxedo with tails is one of the famous forms of evening dress codes for any formal occasion; this style is also well known as white tie style. 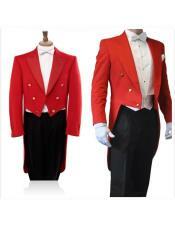 These formal wears are great for any formal occasion that will require you to appear classical as well as smart on the whole. 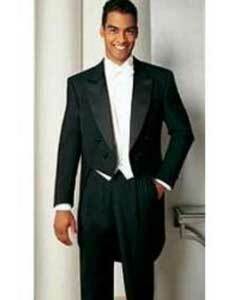 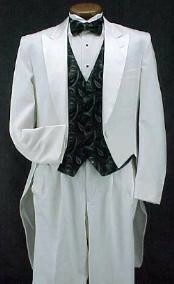 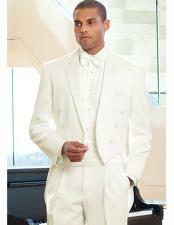 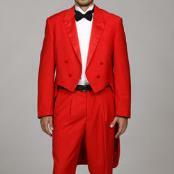 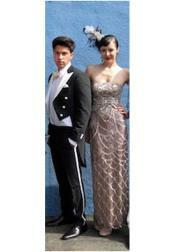 Remember that you will not be able to fashion this style when an invitations requests only for a black tie. 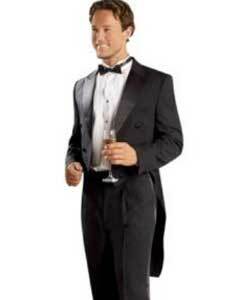 While getting a tuxedo you will have to follow a few fashion advises if you want to look great and have a nice experience wearing it. 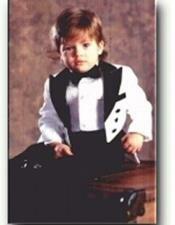 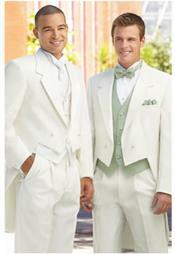 The level of comfort that you share while you are in a tuxedo is important when you plan to dress in one. 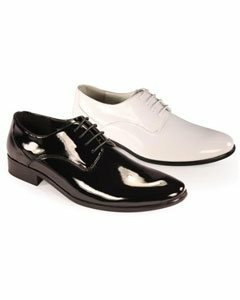 Follow a few fashion suggestions given in magazines by fashion designers and experts so that it is easy to choose what you need. 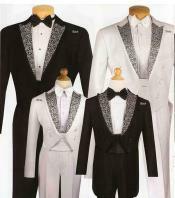 These kinds of tuxedos are great if you plan a vintage style wedding, the style has the right combination of style and vintage touch that will give good appearance that you require for your special day. 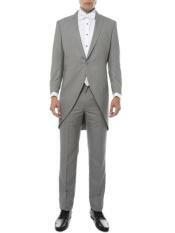 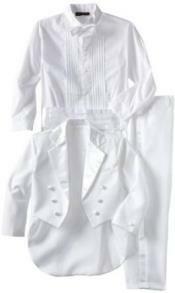 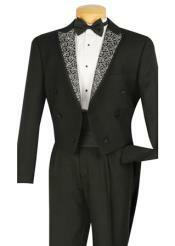 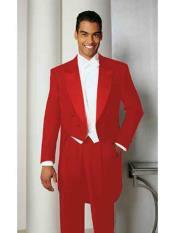 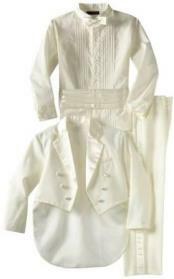 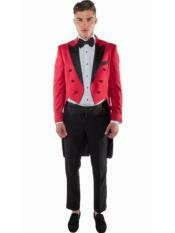 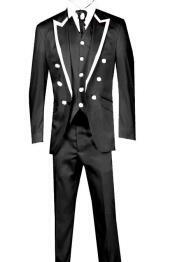 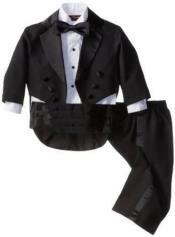 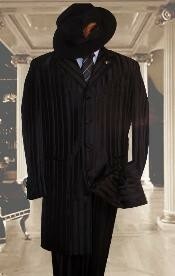 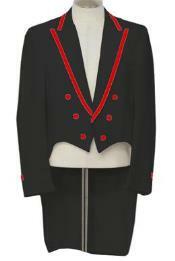 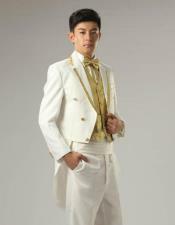 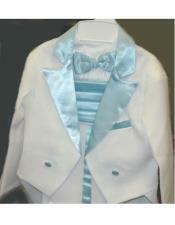 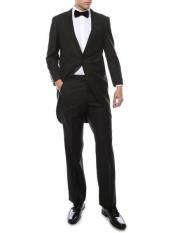 The shirts that are used in combination with such tuxedos must have detachable collars. 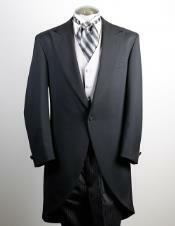 These detachable collars are known to have stiff and starched front that gives a special look and space for the tie to be in place. 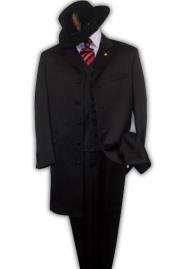 We can find that men who fashion such suits make appoint to wear waistcoats and bow ties that are generally made of cotton Marcella which is also known as pique. 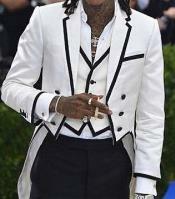 We can also find the tradition of wearing off- white and plain white bow ties made up of silk material and similar waist coats to support the entire look. 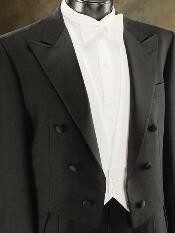 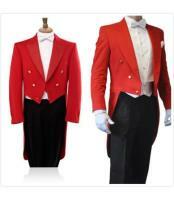 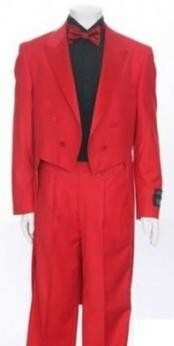 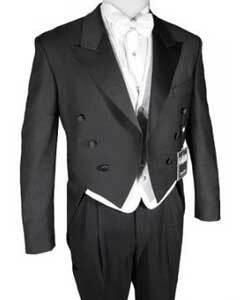 We can find traditionalists who fashion most conservative forms of tuxedos with tails wearing in a fashion that can show the base of the waistcoat visible lower than the cutaway of the tailcoat.